The German giant has a tough task ahead to ensure that its lead over Audi isn’t limited to the January-March quarter alone, notes Swaraj Baggonkar. The launch of compact luxury cars, the size of which are slightly larger than Maruti Swift Dzire but priced four times higher, was a calculated risk Mercedes-Benz took in India when its back was against the wall in 2012. Apart from a possible conflict with ultra luxe image, the launch of the two smallest cars in its portfolio also meant competing against Honda Accord, Toyota Camry and Nissan Teana which operate in that price band. But the ‘small’ step meant a giant leap for Merc in India. The company, which had slipped to number three position while its fellow German rivals BMW and Audi stole the show, got back in the numbers game only in 2013 when the A-Class and B-Class (launched in 2012) went on sale. At Rs 21.49 lakh (Rs 2.14 million), the hatchbacks targeted at the youth segment became the entry cars for the luxury brand whose entry price otherwise was over Rs 30 lakh (Rs 3 million) with the C-Class. 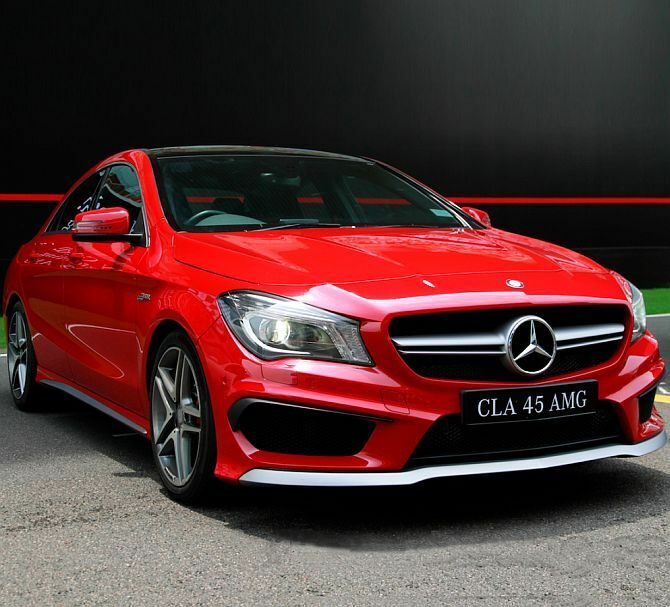 Demand for the two compact cars hit such a level that Mercedes-Benz exhausted its India quota faster than anticipated. Repeated requests were made to Stuttgart (Mercedes’ headquarters in Germany) to increase the allotment for India even as the two models remained totally imported products. As of today the company has added two more models on the same platform -- GLA-Class, a compact sports utility vehicle and CLA-Class, a compact sedan -- while adding several variants to the A-Class and B-Class to keep the excitement alive. Compact luxury products today account for nearly a third of Mercedes-Benz’s total India volumes and stretches from Rs 25 lakh (Rs 2.5 million) to Rs 35 lakh (Rs 3.5 million). 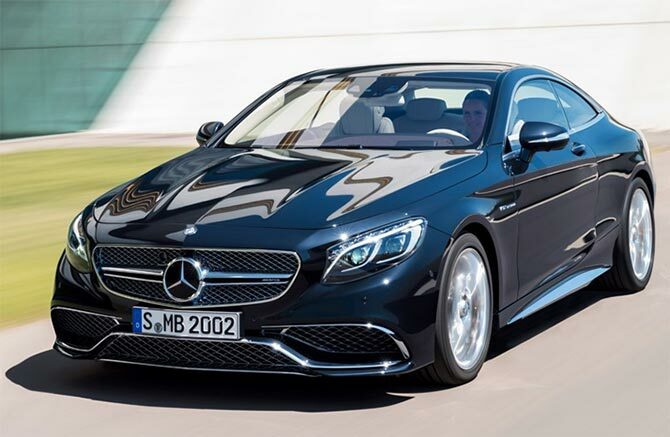 Riding high on these four compact models and aided by warhorses C-Class and E-Class, Mercedes has now dethroned Audi to claim the top spot in the luxury car ranking in India in the January-March quarter. The last time it was number one was six years ago. With sales of 3,556 units, Mercedes bettered sales of Audi which sold 3,181 units during the same period. The former reported a growth of 40 per cent while the latter witnessed a growth of 16 per cent during the quarter as compared to the same quarter last year. 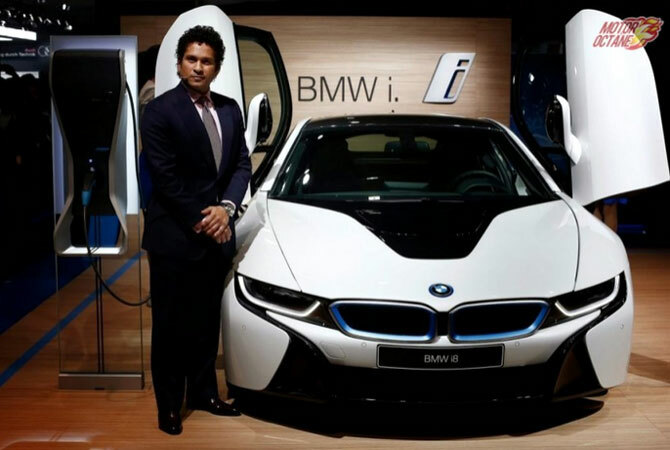 BMW, which is now in the third spot among German luxury car makers, had overtaken Mercedes in 2009 when it stormed the market with its stylish 3 Series and 5 Series sedans. It took less than three years for BMW to topple Mercedes after it set foot in India. However, Audi was hot on its heels. With new launches including Q3, A4 and Q5, Audi eventually overtook BMW in 2013, a full year before its original targets. Audi also became the first luxury car maker in India to crack the 10,000 per year sales milestone. But 2015 saw Mercedes come back with a vengeance. On the back of 10 new launches last year and five in the last quarter, Mercedes powered its way ahead of Audi in the first quarter of this year. The company has been closing the sales gap with Audi with difference reducing to 650 units in 2014 from 999 units in 2013. 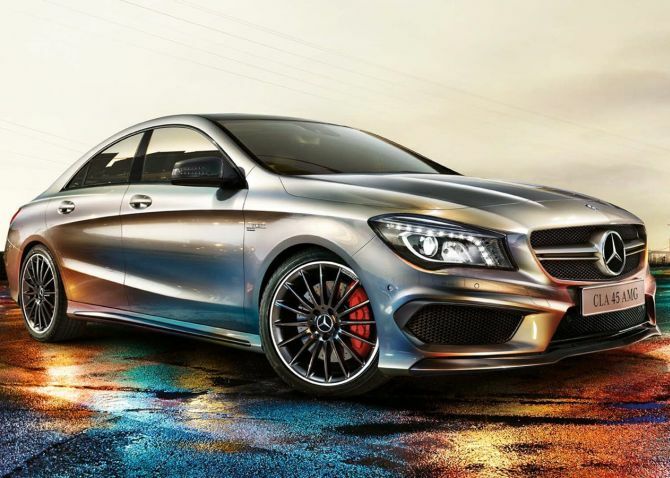 Demand for the new C-Class and E-Class have outstripped demand and the two models currently carry a waiting period. Eberhard Kern, managing director and CEO, Mercedes-Benz India said, “The E-Class and C-Class remains the main volume drivers and together they contribute about 40 per cent to our volumes. 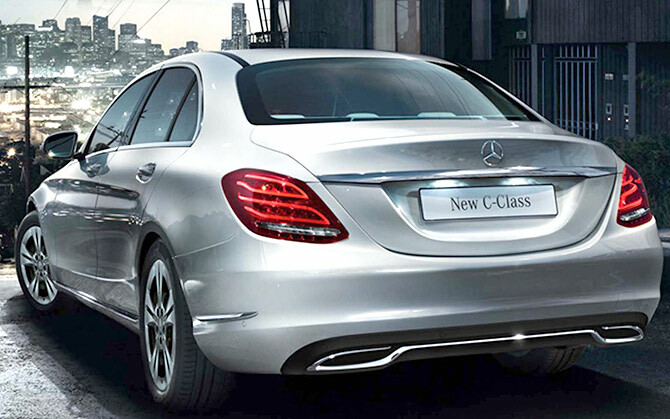 Mercedes-Benz only sells the top-end variant of these sedans in India, which are highly feature rich. With as many as 15 products lined up for launch in 2015 as compared to 10 products of Audi, Mercedes is confident about retaining its lead for the rest of the three quarters as well. “The share of new generation cars (like the A, B, CLA, GLA) to our total volume has increased from earlier 20 per cent to almost 30 per cent currently. “We expect an increase of 50 per cent in the new generation cars in 2015 compared to the previous year”, added Kern. But Merc has some serious competition. Audi will more than double product launches this year to 10 from a mere four launched last year. 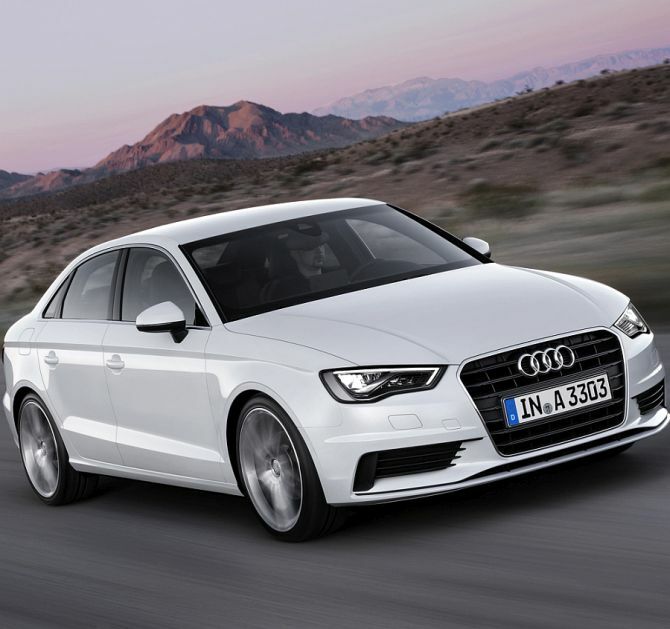 With the exception of the A3 sedan, Audi did not have any high volume product last year. However, this year the German company promises at least two products aimed at driving volumes. Though it lost the crown in the first quarter, Audi remained the largest luxury car seller for the financial year 2014-15. Joe King, Head, Audi India said, “We are very happy to retain the leadership position in the luxury car market for two consecutive years despite having only one major launch (Audi A3) in the last fiscal year. “We are now looking forward to an exciting 2015 with 10 new models including the Audi TT and new Audi Q3 coming up”. In terms of reach too, the two rivals are stretching themselves as much as possible. While Mercedes will inaugurate 15 new dealerships this year, Audi had recently opened showrooms in Guwahati, Ranchi and Bengaluru along with a service facility in Kolkata. Mercedes-Benz C-Class versus BMW 3-Series: Which is a good buy?